• A subdued USD price action helps to gain some positive traction. • Cautious mood further benefits commodity’s safe-haven demand. • Fed rate hike prospects/positive US bond yields seemed to cap gains. Gold gained some positive traction at the start of a new trading week and recovered a part of Friday's downslide to fresh YTD lows. A combination of supporting factors eased the bearish pressure and helped the precious metal to stall its recent decline just ahead of the 200-week SMA support. A softer US Dollar, which retreated farther from two-week tops set on Friday, was seen underpinning demand for dollar-denominated commodities - like gold. 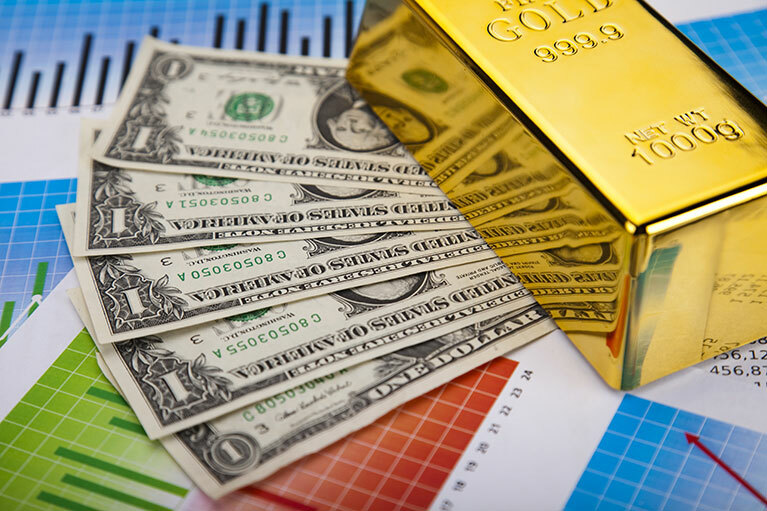 This coupled with a cautious sentiment around equity markets extended some additional support to the precious metal's safe-haven appeal and further collaborated to a modest rebound. Meanwhile, firming gradual Fed rate hike prospects, evident from a goodish pickup in the US Treasury bond yields capped any strong follow-through up-move for the non-yielding yellow metal. In the meantime, traders will look forward to the release of US monthly retail sales data, a key highlight from today's economic docket, in order to grab some short-term opportunities. A follow-through up-move beyond $1247 area is likely to lift the commodity back towards $1252-53 supply zone en-route the next major hurdle near the $1258 region. On the flip side, $1240 level might protect the immediate downside, which if broken might drag the metal further towards 200-week SMA support near the $1234 region.